Ghoulishly Good Lotions & Potions! The witching hour is nearly upon us and so what better time to bring you our selection of some of the most spookily good products for you to sink your fangs into FDJ LDN fillies? These eerily awesome lotions and potions will keep you looking good long after Fright Night has been and gone and will reign eternal in your beauty cabinet. So creep this way and discover why these treats are clearly no trick! Do you boo and hiss at your dark circles and fine lines before slinking away from the mirror in a Medusa-like rage? Well you won’t any longer once you discover this sassy little secret! Containing a potent shot of SYN-ake as well as active levels of EyePro 3X this perfect little multi-tasking product has plenty of bite! 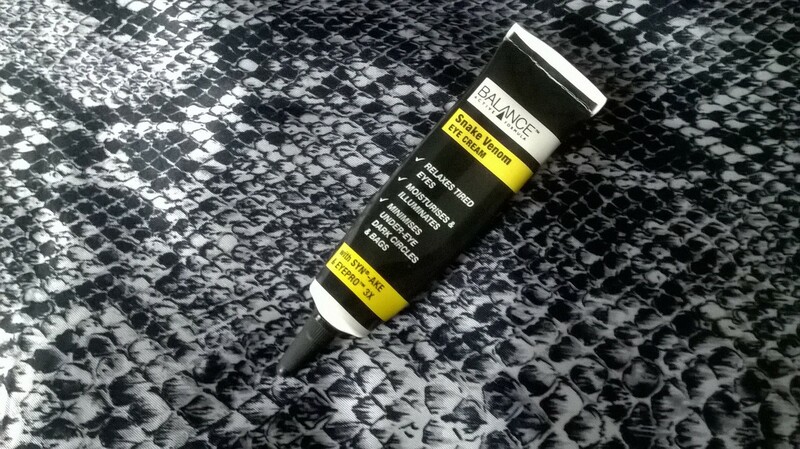 Snake Venom eye cream is perfect under make up, is a killer to expression lines and will reduce your dark circles by 65%. This is our go to product in the morning when you don’t want to look like the Walking Dead the morning after the night before, as it brightens and tightens like a dream. 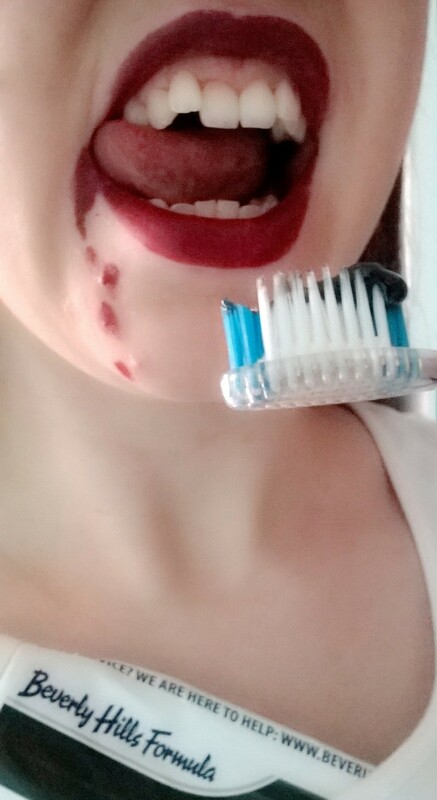 Plus there’s no waiting around for it too sink in so you can do your makeup straight away without worrying about it seeping and running, leaving you looking like a member of Kiss. Sssssssimply sssssssssuper! Nothing can bring out your inner siren than a sinfully seductive scent and few come more alluring than that of Black Rose by St Kitt’s Herbery. Nestled in the dark heart of its gothically gorgeous sleek black packaging, the gloriously art deco crafted glass bottle asks to be sprayed with abandon with an air of cool and classic Morticia Adams flair. The resulting mist is a classy, crisp and fresh mix of rose and ylang-ylang that will call you over to the dark side and is perfectly balance for day or night. We will be using this all winter long to leave people intoxicated with its heady, heavenly scent. This bewitching potion will look utterly beautiful in your boudoir too! Yes, you read that right dear reader – DRAGON’S BLOOD! Prepare to become more Khaleesi worthy than Daenerys, as this newly launched range contains the mythical creature’s essence (also known as Croton Lechleri), combined with 3% Liftonin-Xpress to deliver results of that nothing short of pure legend. 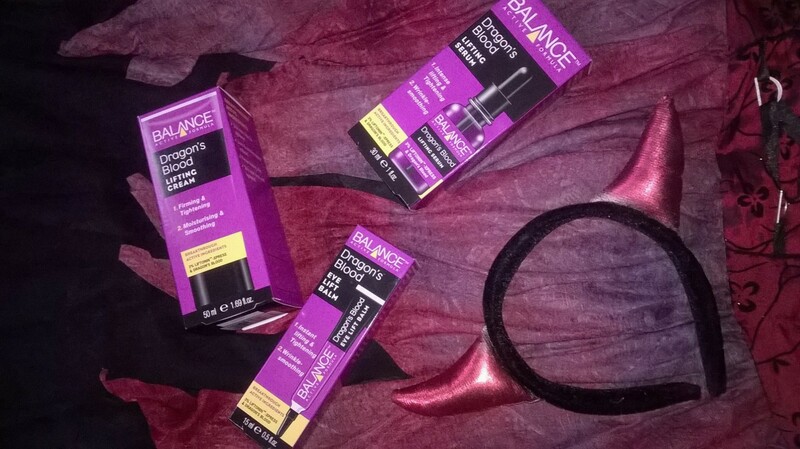 Balance Active Formula love creating clincically proven and ground-breaking ingredients for their high performance skincare and this triple treat of Eye Lift Balm, Lifting Serum and Lifting Cream is no exception. It claims to help the skin look instantly lifted and tightened, whilst smoothing wrinkles and leaving you looking refreshed and hydrated. Some big claims right? We literally ripped open the box when it arrived at FDJ LDN HQ and we can wholeheartedly vouch for these results! Seriously, the buttery texture of the eye balm seems to melt away crow’s feet, lifting the eye area and leaving it smooth. The combination of layering the lift but nourishing lifting serum which firms the skin under the thick but not at all greasy lifting cream created gorgeous smelling skin that looked air-brushed of fine lines and wrinkles. Any ghostly pallor was replaced with dewy fresh-faced youth. We were left looking as ageless as a marble-skinned Twilight vampiress! But don’t just take our word for it. Want to try the range for yourself? Well head over to our Instagram and Twitter and find out how you can win the whole load of dragonish delight for yourself NOW! Keeping it Khaki – Military Style!